A cardiac heart monitor is a device that records the electrical activity of your heart (ECG). This device is about the size of a pager. It records your heart rate and rhythm for 24-hours or longer depending on what monitor your physician ordered. 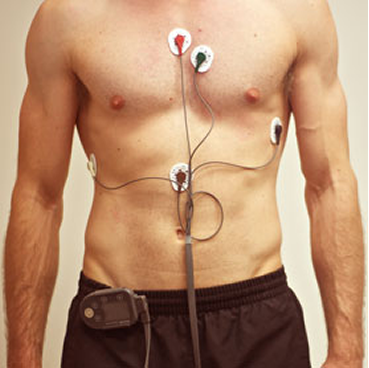 Cardiac heart monitors are used to determine changes in your heart rate and heart rhythm. Shower before the monitor is applied so that your body is clear of body oils. Don’t use perfumes or lotions as they can cause the adhesives to peel off. Tell your provider or technician if you are allergic to any tape or other adhesives. You should continue your normal activities while wearing the monitor. Keep a diary of what activities you do while wearing the monitor, how you feel and any symptoms you have. The monitoring staff will tell you how to transfer data over the telephone and set up your monitor depending on which monitor you have.